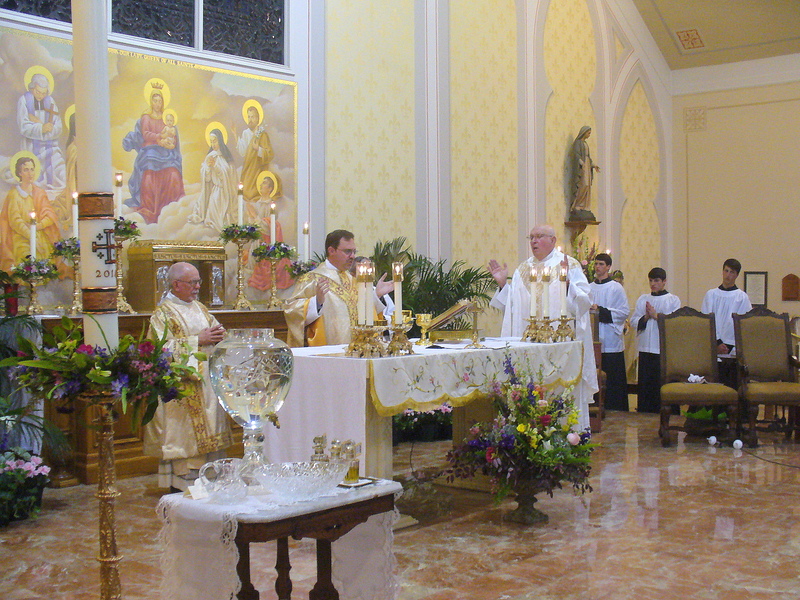 Deacon LeBoeuf, Fr. Guidry, and Fr. Vidrine begin the Communion Rite.